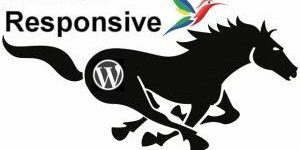 The Stallion Responsive WordPress SEO Package includes built in WordPress language translation support that does NOT require creating po files for the theme or similar hard to understand features. In a nutshell everything output by Stallion Responsive to your website visitors can easily be modified to any language on the planet on one simple to use options page. 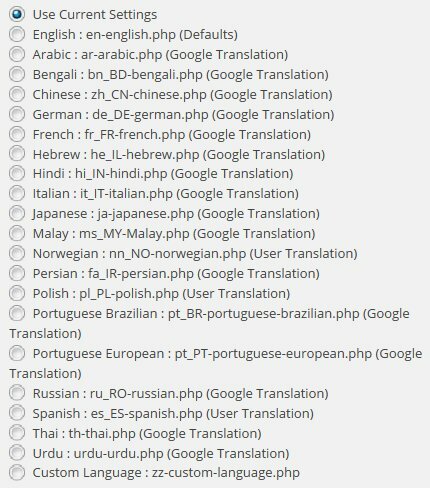 It is simple to use, under “Stallion Theme” >> “Language Options” there are less than 40 options for adding your own language translation plus some default language translations that work alongside the WordPress core language translations. 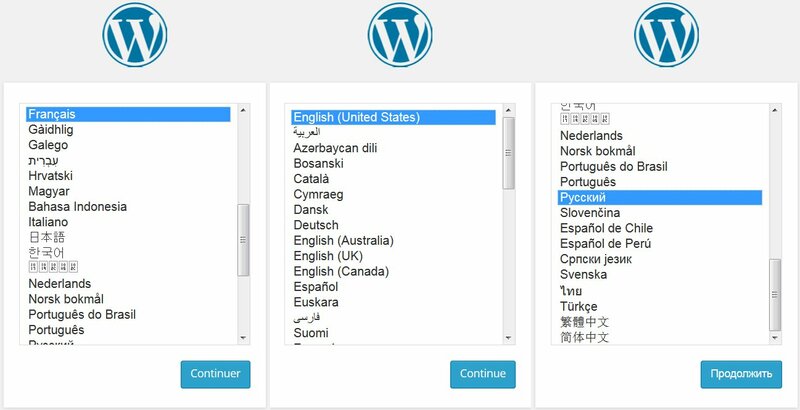 In WordPress 4 there’s a new feature for selecting a language during initial installation allowing easy WordPress localization, this removes the need for downloading and installing WordPress in your language like you had to do for WordPress 3.9.2 and earlier versions of WordPress: was much harder to setup localization pre WP 4.0. 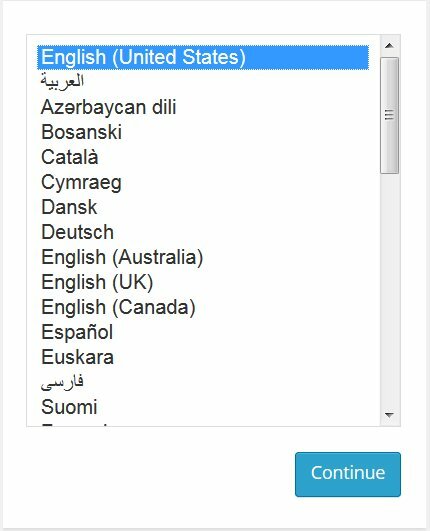 For a new WordPress 4 install select one of the 40 languages WordPress 4.0 is currently localized for by default. After setting up WordPress to use your language everything handled by WordPress core should be translated to your language, for example the output from default WordPress widgets like Monthly Archives, Categories, Tagcloud etc… should automatically use the localized language selected. WordPress core doesn’t have control over the language translation of WordPress themes and plugins. Many WordPress themes and plugins offer language translations that use a po file. This is a file generated by a program which maps parts of a theme/plugin to the po file it’s described at http://codex.wordpress.org/Translating_WordPress and it’s a PAIN to use and manage: make a small change to a plugin/theme and the po files needs rebuilding! Stallion Responsive doesn’t use this option, Stallion includes a custom built language translation feature which makes creating a translation on the fly really easy. The screenshot below shows the built in translations, click the screenshot to see the entire options page. Tick the relevant tick box on the “Stallion Theme” >> “Language Options” page and click “Save Settings” and the language selected will be used. You will note most of the translations are Google Translations, it’s really easy to create a new translation if one of the above isn’t suitable. Go to the following URL (It’s the Google Translator) and select your language on the right. You now have a Google translation for all words and phrases used by Stallion Responsive that your visitors sees. You can either add them directly to the Stallion Language Options page (copy and paste) or add them to a custom language translation file. By copying the file to the child theme folder it won’t be overwritten when you update Stallion Responsive. Edit zz-custom-language.php in a text editor (I use Notepad++ it’s free) and you’ll find full instructions within. Have been adding more language translation files to Stallion using Google Translations. These are the current language translations that will be available in Stallion v7.1 (plan to release this month). If there’s a Google translation on the above page you’d like to see as part of Stallion let me know. The Google translations will not be perfect, I’m hoping those who use the language files and adapt them will send me a copy so I can include it with the next Stallion release. for the relevant file, fa_IR-persian.php for example for the Persian translation. Edit the file in a text editor using carachter encoding UTF-8, make the changes to improve the translation, it should be obvious what to change. Save the file and email a copy to me. – branding: will I be allowed to remove the branding (credit line, “powered by…” etc)? – style: will there be more inbuilt styling options? Please forgive me, but the design really is a tad outdated. one more question: how does your theme work on a German language site? If you look at the home page of this site and scroll to the heading “Stallion Theme Colour Schemes” you’ll find example links to the current 27 built in Stallion colour schemes. The ability to use a different colour scheme on each post is a Stallion feature BTW. Because Stallion is BIG (almost 10MB zip file) I’ve no plans to add more colour schemes, images sets etc… directly into main Stallion, the zip file size is already causing issues with some users having to change their sites maximum file upload size to above 10MB or use FTP to install (greatest number of support requests I receive!!). The plan is to push new colour schemes and image sets to Stallion Child Themes. There’s a free example child theme at Stallion Child Theme Information. I added child theme support this month, so a new feature, not many child themes made yet. WordPress child themes are cool, it’s like installing two themes at the same time and they work together. A Stallion child theme can add to main Stallion (like adding new colour schemes, image sets etc…) and/or be used to add/edit features. If someone with average CSS skills wanted a layout with a 600px sidebar that can be achieved by creating a copy of a single CSS file with not that many changes. Stallion can be easily translated to any language in two ways. 1. Directly on the Language options page, each of the above phrases are an option, go to the Stallion Language Options page and type whatever the translation is and save the options page. In the theme directory you will find a folder /stallion-seo-theme/languages/ with files en-english.php, de-german.php etc… and zz-custom.php which include the above Stallion options in various languages. zz-custom.php includes the default English settings which can be edited to your needs. If you do edit a file I suggest installing a child theme (can be the free example child theme) and put the file in the child theme folder so when Stallion updates your edits won’t be lost. Each file has a tick box, tick German for example, click save and all the options are changed to the settings in the de_DE-german.php file. Pretty straight forward what to change if you want the settings in the file and not manually added via the options page (if you don’t want to edit the file you could use the Google translation version and edit the translations that aren’t accurate). If you’ve installed the German version of WordPress and all your articles are in German the entire site should be in German: I have no control over default widgets, so if the German version of WordPress doesn’t have a translation it will be in English (I’d assume German will be fully translated). The Stallion powered by link can be either turned into a Clickbank affiliate link (so any purchase via your link you get 50% of the price of Stallion) or disable it completely via the Stallion Clickbank Options page (2 clicks of the mouse it’s gone). Stallion is built on hundreds of options, I doubt any other theme has so many parts of a theme that can be turned on/off. I can turn of the post date (Stallion Feature? ), and it is no longer displayed. This is all very fine and works as expected. So how do I get rid of that? I will live with dates on my pages (something I don’t really fancy) but it hss to be the correct form – everything else is simply not professional. And somehow the date format always is “May 5th, 2012”. Germans use “5. May 2012” thus walking from the smallest unit to the next bigger one. Of course, I’ve got the WordPress date settings right and I do use the German version of WordPress. And one more: how can I turn of the display of the category “posted in “Promo/Sales”? If it should be only Verfasst delete the “am” on the Language Options page. If any of the others are wrong change them as well, if in or by etc… doesn’t work for a language add a space so nothing is shown. They are broken into single words to allow for as many formats as possible. It’s a tricky one because there’s so many different formats for different languages, I think the current Stallion language options allows for a decent translation to most languages without too much difficulty. Also what you are seeing is version 1 of this Stallion feature, so far had no reports of it not being workable for a particular language, if it needs adapting happy to make the changes. If you want to remove the “Posted in Category”, the “posted in” is within the language options, replace it with a blank space. To remove the category link you’d have to edit template files or create a template, there are category templates and post/page templates. Page templates are a core WordPress feature, this has been extended in Stallion so you have Category templates and the Page templates also work in Posts. Enable these templates under “Stallion Layouts : Custom Templates ON”. Only post type not covered is Tags and dated archives (for SEO reasons don’t use dated archives). This is where child themes are awesome. If you want this change sitewide for posts without having to set a Page template for every Post/Page easiest way would be to copy the single.php file from /stallion-seo-theme/ folder to the child theme folder. Any files copied there basically are loaded instead of the file in the main Stallion folder. If you didn’t want the link delete the above. this new code will use the Settings >> General options. For example this would result in Posted on Date (new format) by author (if author link turned on) and the Edit link when logged in. If you wanted to use a Page template instead copy the page-example.php file from the main Stallion folder instead of single.php and rename it to something like page-fixeddate.php edit the file and rename the top from “Template Name: Example Default” to something like “Template Name: Fixed Date”. Edit the file as described above. This will add a new Page template to your Page and Post edit screens that can be selected as needed. That’s how you make a custom Page template, dead easy. The benefit of a Page template over editing the original templates (like single.php)is why I update Stallion your single.php file will be used rather than the new single.php (assuming I’ve made changes to the file). With a Page template it will always be available without locking you out of new updates. There’s also Category templates, same concept, but they work on categories rather than Posts and Pages, the example file for editing is category-example.php or you can copy over the category.php file to the child theme and edit the same way as editing the single.php file. BTW single.php is for blog Posts, page.php is for static Pages, if you want the date changes on static Pages as well you’d repeat the changes in page.php. 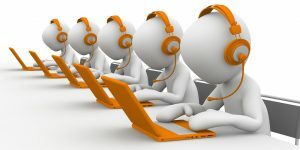 Your support is exemplary: fast and to the point. There’s always enough surrounding information to get a general grasp of the situation, and precise directions to get the job done. I will not be back before Monday – so please: enjoy your weekend, you’ve certainly made it possible for me to relax now. As promised – I’m back. Which template do I have to change? Is there any way to get rid of the border around the slider? I still need to see more to provide one working fully in all circumstances. And the language settings proof resistant to instant change. I need to clear the cache, which sometimes helps, but usually I have to “save” a browser for checking on new settings, which after having used up all my “very first” sessions with a browser, won’t change til the next reboot – what am I missing? There are around 20 files to edit if you want this change sitewide, they’ll be changed in Stallion 7.2 which I’ve not officially started work on yet (always have a working copy I edit as I go along with bug fixes, new features etc…) and have no time frame for release: hate doing small updates, like to make them worthwhile so add lots of new stuff before considering a release (unless it’s a serious bug fix then it’s ASAP). The code is pretty much the same for each file, so whatever you did for single.php should work with those. If you wanted this change for all layouts edit all the 12 layout files. Try CTRL F5 to clear your cache. If using a cache plugin clear the cache and it should work, if not use multiple browers, I have FireFox, IE, Chrome, Safari, Opera so when I think the cache isn’t clearing check it in another browser. If you are making these changes directly within the main Stallion theme folder and not a child theme remember NOT to use the auto update because all your changes will be overwrote. If a child theme they’ll be fine, but take into account when editing core files this way when I do an update the main Stallion files will be ignored, so you might miss out on feature updates and bug fixes. The date change above is 20+ files, that’s almost all the core WordPress template files for main content and the Page templates, I can pretty much guarantee they will change between most updates, same with css files, new features almost always require a bit of CSS tweaking. Next update for example I’ll be including a fix for the Google Translation widget CSS that messes with the gradient colour schemes, basically Google’s CSS code is overriding the gradient CSS resulting in the colour gradients not going from the top of the site to the bottom, it instead stops and restarts at the bottom of the browser window. The fix involved adding a new div around the entire site which is used to reference the gradient CSS code, before the gradient CSS was applied to the body tag in 7.2 to the new div. This ‘breaks’ the WordPress core background colour settings because the body tag is filled with the new div (no space for the background image to show) so have to play around with that code before release so the background image is the background of the new div instead of the body. While looking into this found an interesting plugin that adds the ability to add backgrounds to various parts of the page, so thinking about adding it to Stallion (doesn’t work with Stallion out the box, but an interesting feature possibly worth looking into). As you can appreciate I don’t support older code (not going to explain how to upgrade a modified 7.1 file to work correctly in 7.2 etc…), so whatever changes you make you should keep a basic record so you know how to make the same changes in a new version. More changes you make, more you have to check to do a upgrade correctly,made this mistake myself when editing scripts, end up in a scenario where you realistically can’t update! I hear you about changing the core files. You’re right, I will keep the changes to a bare minimum, always using the child theme, and keeping track of my changes. So far I’m not afraid of your next update: one css file and one php file – a doddle. If you are happy with inline CSS (I try to avoid it, personal pet peeve) use the “Stallion All In One SEO Additional Sitewide Headers” (that’s a mouthful :-)). Under Stallion Advanced SEO tick “Stallion All in One SEO ON” this turns on the Stallion All In One SEO options page that will be available after another page loads (go to your Dashboard for example and check the Stallion Theme menu for the new link). Under the Stallion All In One Options page at the bottom are 4 boxes related to adding info to the header area. The “Additional Sitewide Headers” will load the code on every page of the site except Page templates that have their own header code: I think there’s one built in Page template that doesn’t use the header.php code where the additional header code is loaded, if you build your own Page template that doesn’t use the header.php file remember to replicate anything you add below there as well. You have two choices that will avoid editing the Stallion core CSS files and avoid upgrade problems I mentioned before. If you aren’t familiar with CSS the last CSS code loaded is basically what’s shown, so if you have three ways the above sort of code is loaded the first has border 10px, second 50px and the last 0px it’s the 0px that’s used. which means you can override most CSS in a core CSS file by copying it to the header above or a separate css file (see below). and add the css you changed in the main files in this file. Both these options will remove the need for making the changes again after a Stallion update, though you’ll still have to keep an eye on them for conflicts with new features. It’s on my list of features to add to create a more user friendly way of doing the above. After you change a language file are you reloading it on the Stallion Language options page? The settings within the language files are not used on the fly to generate the languages, when you tick a language and save the options the file is read and the settings are added to the database at the time you click the save button. If you change the file and don’t select the file again and save options again the current database settings remain the same. The files are like backups of the language options database, run a file and the new entries are added. Basically a quick way to add a particular set of options, I use the same format on the main Stallion options page for the default SEO settings etc… near the bottom. The language files only holds the language options, the SEO defaults holds all settings. I like your new version so much. Then it would be much better for those who check from Android or other small mobile devices. I’ve not converted WordPress core to another language translation, so not the best person to ask. Here http://codex.wordpress.org/WordPress_in_Your_Language is where I’d start. If you search Google for : WordPress Language Translation Khmer there’s some guides. When you have WordPress core converted Stallion includes built in support for converting the Stallion English text (what your visitors see in a browser) on the Stallion Language Options page: there’s not a Stallion Khmer translation, though it’s easy to achieve. Basically two choices, change the English words to Khmer on the Stallion Language Options page or create a Stallion Language file (edit the file /stallion-seo-theme/languages/zz-custom-language.php) that includes those words and select the custom language to install what you added to the file. You can convert most of a site (what your visitors see in a browser, not you when logged into your Dashboard) just using Stallion. Ideally you would convert WordPress core as well since some text that’s output for default widgets is handled by WordPress core, though if you avoid some widgets you can get very close to full conversion just using Stallion if converting core is too difficult.